Yo-Kai Watch 2 (video game, 2014). A role-playing by Nintendo. Official Trailer. Yo-Kai Watch 2 is a role-playing game. YO-KAI WATCH 2 - Overview Trailer. Much like its predecessor, Yo-kai Watch 2 is an open world role-playing video game, where the player is given control of player character Nathan Adams, or alternatively, Katie Forester. Players navigate around the open world using the Nintendo 3DS' touchscreen to find and befriend various Yo-kai, which are scattered across the overworld. Players befriend Yo-kai by giving them a food that they like before beginning battle, and after defeating the Yo-kai it approaches the player character and gives them its Yo-kai Medal, allowing it to be summoned at will. 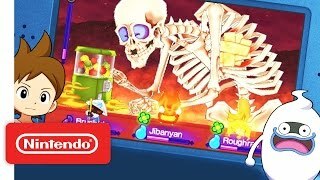 A new feature in battles is using the touch screen to find a particular sweetspot on an enemy Yo-kai to increase the likelihood of befriending it at the end of the battle, or other sweetspots for extra damage, extra money, or extra experience. Yo-kai can also be acquired through an in game Crank-a-kai (Gasha Machine) by collecting in-game coins or using Play Coins. Certain Yo-kai are necessary for completing the game's main quest, and rarer Yo-kai can be acquired through various subquests. Yo-kai can evolve into more powerful versions of themselves if they reach a certain level or combine with a particular item or oYo-kai. The Yo-kai are divided amongst eight different classes, each with their own strengths and weaknesses. There are also Legendary Yo-kai that can only be obtained by collecting a particular set of Yo-kai listed in the Yo-kai Medallium, a compendium of the different Yo-kai the player has encountered or befriended. When the player encounters a Yo-kai, he enters into battle with it using six Yo-kai that the player has befriended previously. The touchscreen is used during battles to rotate amongst the player's Yo-kai in battle at will. It is also used either to clear up status effects on the player's Yo-kai or to charge up the Yo-kai's Soultimate abilities. While the original Yo-kai Watch featured nearly 250 Yo-kai, Yo-Kai Watch 2 features nearly 450, including several that were featured as bosses in the original game. 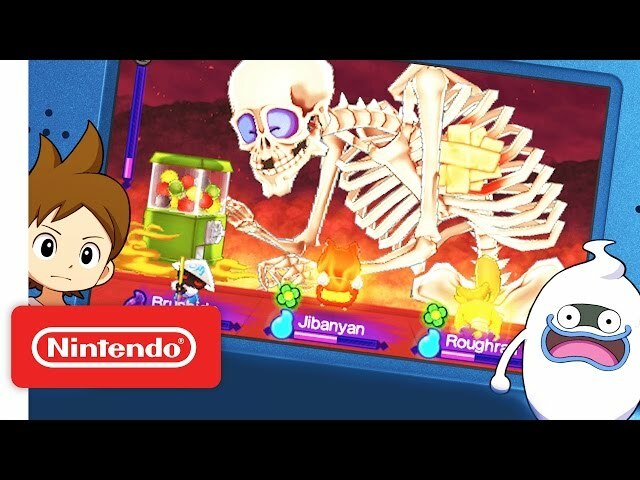 Yo-Kai Watch 2 was scheduled to be released by Nintendo on July 10, 2014 (JP: Bony Spirits & Fleshy Souls), on December 13, 2014 (JP: Psychic Specters), on September 30, 2016 (NA: Bony Spirits & Fleshy Souls), on October 15, 2016 (AU: Bony Spirits & Fleshy Souls), on April 7, 2017 (EU: Bony Spirits & Fleshy Souls), on September 29, 2017 (EU: Psychic Specters) and on September 30, 2017 (AU: Psychic Specters).